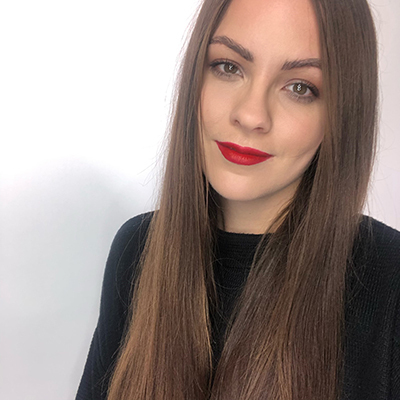 Best suited to strong make up wearers; an intense, defined brow (think Kylie Jenner), is easy to create on clients who already have a good shape to follow. It can be high maintenance as every stray hair will look out of place and untidy, however it is the easiest way to cheat a new shape as you don’t need to see too much hair against the colour. Keeping the colour relevant to your client, create a light base using a Fine Angled Brow Brush, making sure it is not too heavy. Nilam uses our Brow Creme (due later this year! ), but you can also use powder from the Eye&Brow Pro Palette. TOP TIP: Treat the Fine Angled Brow Brush really lightly so you don’t make the bristles separate – this can cause them to flare out and lose your precise shape. 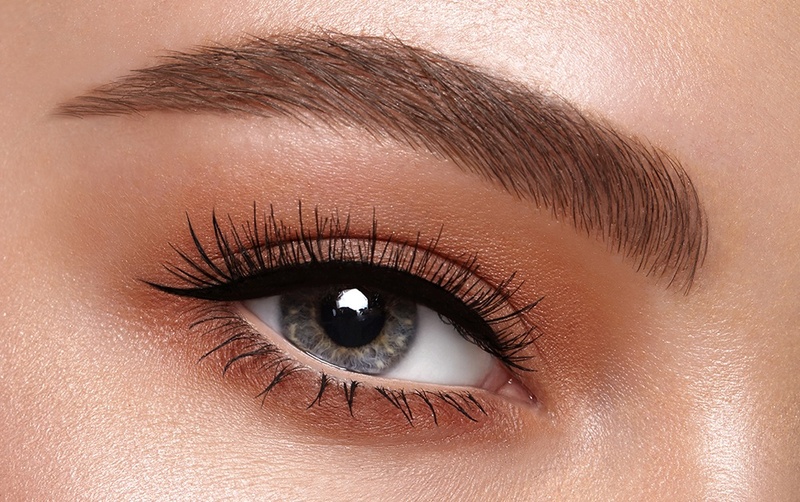 Line the top of the brow with precision, remembering to keep blending into the hairs – even though we want a defined brow, we don’t want an unnatural, strong line. 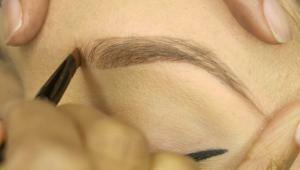 Create texture at the front of the brow with the same brush. 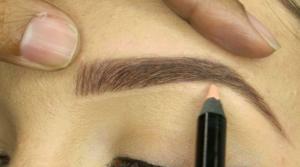 Fill in the body of the brow, disguising any gaps. 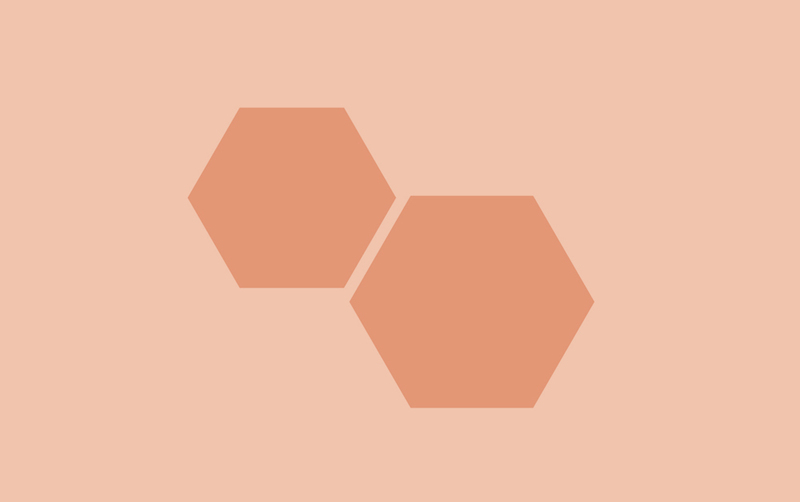 You need to make sure that you have a good, even colour application; colouring it in and making sure you get behind all the hairs to fill in the gaps – you shouldn’t see any skin from the body to the tail. Keep it super clean around the edges, trimming and tweezing any hair if needed. Set into place with a darker Brow Colourfix, then step back and review. 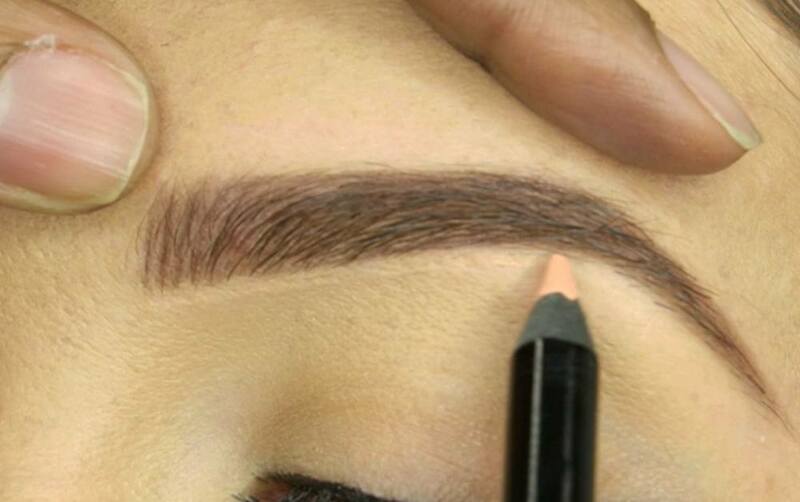 You can sharpen the edge of the brow with the Pro Pencil if you need to. Not a Stylist and want to get the look? 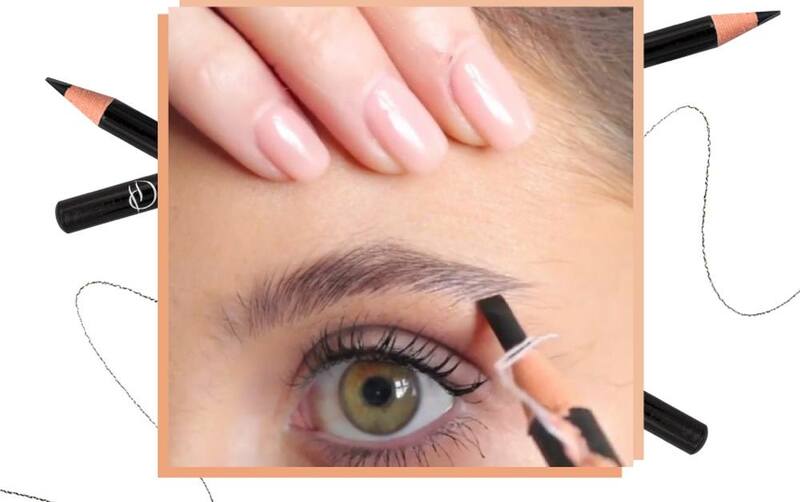 Head to our Salon Finder where you can find your nearest HD Brows Stylist to perfect your arches.